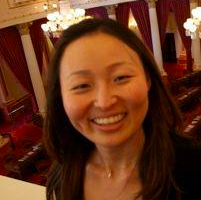 Grace Bahng is an Associate Professor of Global Studies at Azusa Pacific University in CA. She teaches courses in community and international development and researches how communities work together to build capacity. She also works as a consultant at Seedling Consulting Group focusing on program evaluation for community programs.